UP Pahinungod invites you to join the Pahinungod Fun Run! There would be no categories, it will be just a simple gathering of volunteers. 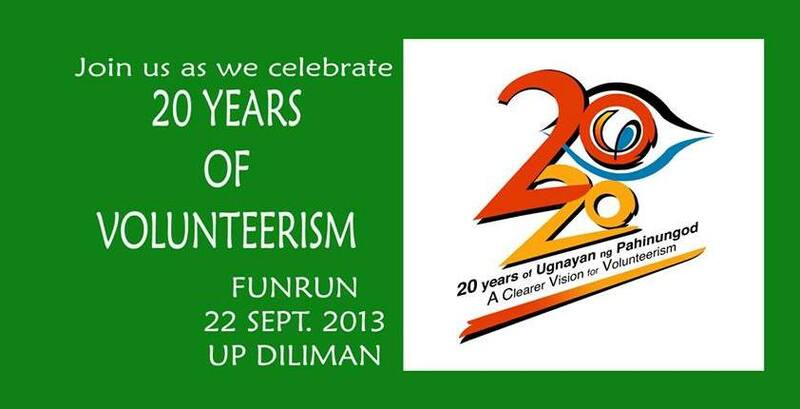 You may register at the Ugnayan ng Pahinungod Manila office until August 30, 2013. Registration fee of 200php inclusive of a limited edition Pahinungod T-shirt.